Little girls are ready to get their picture taken in this green, turquoise and grey flower longall. 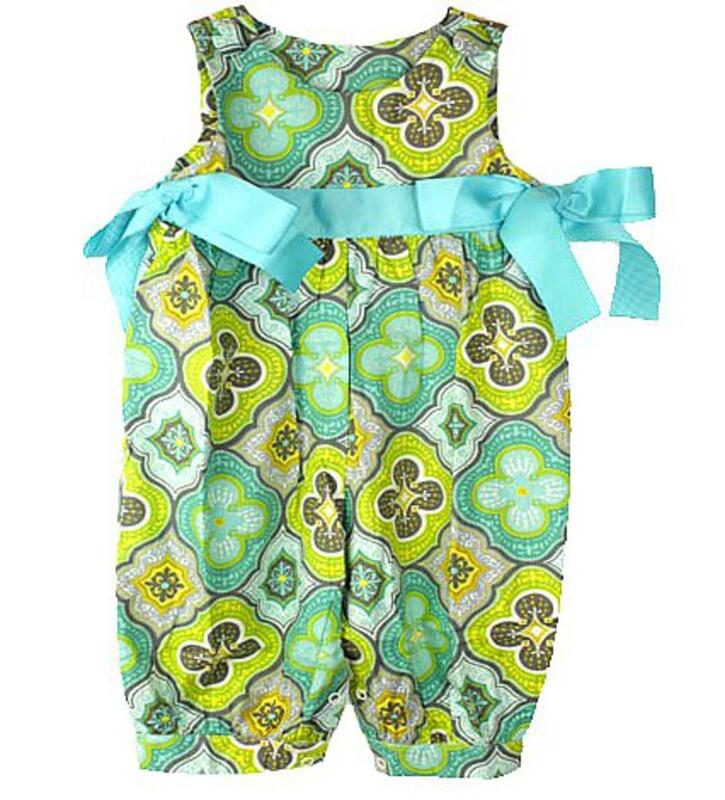 There is a thick turquoise ribbon across the chest and two bows on the sides to add a little flair to the adorable romper. There's two buttons on the shoulders to accomodate getting over a childs head and snaps on the inside of the legs to change a diaper easily. This soft outfit is 100% cotton and can be paired with a longsleeve turtleneck to keep your little one warm.